← Flu Season – It’s Not Over Yet! 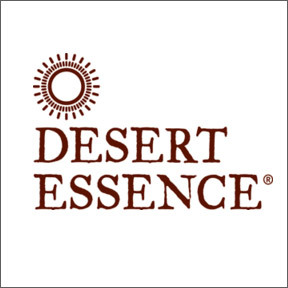 Professional Supplement Center now carries Desert Essence®, a line of award winning personal care products based on the concept of strengthening the bond between beauty and nature. For over 35 years, Desert Essence® has relied on sustainable, ecologically sourced and harvested premium ingredients to create pure, naturally effective, high quality products that deliver beautiful results. Natural and organic ingredients are sourced worldwide, supporting local farming communities, plant and animal biodiversity, and soil productivity. From Australian Tea Tree Oils to Peruvian Jojoba, all products have biodegradable ingredients and clearly labeled recyclable packaging, as Desert Essence® believes in responsibly creating a healthy, harmonious relationship with the earth. As a certified B-Corp Corporation, Desert Essence® is dedicated to the health of the planet and meets the highest standards of verified social and environmental performance, transparency and accountability. Desert Essence® partners with various charities and organizations, such as the Plan International USA’s Because I Am a Girl Initiative, donating a portion of sales to support education access to help change the lives of impoverished children and families. All products are 100% vegetarian and cruelty free. Eco-Harvest® Tea Tree Oil – This well-known natural antiseptic soothes skin, reduces redness and breakouts, and helps to treat fungal infections. Produced in Australia, this multi-use essential oil is guaranteed to be free of pesticides, herbicides, chemicals, parabens, and phthalates. This oil is not meant to be used full strength. Dilute with water or carrier oil before use. Creamy Oil Cleanser – Suitable for all skin types, this pure, creamy, oil-based, skin balancing formula cleans skin and removes make up without stripping away moisture. Antioxidants and fatty acids provide nourishment and aid in preserving the skin’s natural barrier. USDA organic, gluten, paraben, phthalate and fragrance free, vegan formula. Gentle Nourishing Day Cream SPF 15 – This protective moisturizer and all natural sunscreen is tough on UVA/UVB rays but extra gentle on the skin. Soothing aloe vera and antioxidant-rich white tea extract help to rehydrate dry sensitive skin, strengthen skin’s natural moisture barrier, prevent free radical damage and protect against premature aging. Fragrance, paraben and phthalate free, vegan biodegradable formulation. Baby Oh So Clean 2 in 1 Gentle Foaming Hair and Body Cleanser – This certified organic, extra-mild, pure olive castile soap is blended with vitamin-rich organic sunflower oil. Minimally formulated with only 8 ingredients, this product gently cleanses, while maintaining skin’s natural moisture. Hypoallergenic, biodegradable, and pediatrician tested with no artificial ingredients, detergents, dyes or fragrances. Baby My Sweetie Pie Baby Lotion – This non-irritating, fragrance-free, organic lotion protects and nourishes baby’s sensitive skin, soothes dry or reddened skin, and helps restore moisture and comfort. Hypoallergenic, biodegradable, and pediatrician tested with no artificial ingredients, detergents, dyes or fragrances. This entry was posted in Home and tagged Baby My Sweetie Pie Baby Lotion, Baby Oh So Clean 2 in 1 Gentle Foaming Hair and Body Cleanser, Creamy Oil Cleanser, Desert Essence – Featured Brand, Eco-Harvest® Tea Tree Oil, Gentle Nourishing Day Cream SPF 15, Professional Supplement Center, Vitamins and supplements, www.professionalsupplementcenter.com. Bookmark the permalink.